I'm Derek Portsmouth, National Sales Leader UK & Ireland at Notifier by Honeywell and in this blog I'd like to assess the impact that the Regulatory Reform (Fire Safety) Order 2005 (RRFSO) has had since its introduction 10 years ago. Examining the changes in standards that have occurred following the tragic events that took place at the Rosepark Care Home in 2004.
provides installers, integrators, contractors, consultants and end users with all the information on this important standard and how it relates to the way that doors are opened, closed and controlled by fire detection systems. We are delighted to announce the appointment of new distributor Allfire. Derek Portsmouth, National Sales Leader UK&Eire, discusses some educational work currently being done by NOTIFIER. 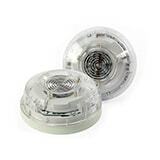 New Ceiling and Wall mountable EN54-23 approved addressable VAD launched. We are delighted to announce the appointment of new distributor Planet Fire and Security. The FIA has published guidance on the application of primary visual alarm devices and supplementary indicating devices. We are pleased to announce the release of the Android version of the popular Notifier InfoPoint app. National retail chain Matalan has selected Notifier by Honeywell systems to provide fire protection in the company’s distribution centre in Skelmersdale, Lancashire. 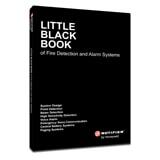 We are pleased to announce the release of the newly updated free and highly successful ‘Little Black Book’ on fire safety design, intended as a helpful tool for anyone involved in the design or specification of a fire detection system. Honeywell’s FAAST is the first aspiration detection system to be approved by one of Europe’s leading nuclear power plant (NPP) operators for installation in their facilities’ most demanding locations, the reactor building. There are numerous causes for the estimated 250,000 false fire alerts that plague the UK each year, ranging from steam and paint aerosols to poor maintenance. Trinity Leeds retail and leisure development benefits from leading-edge voice alarm/public address solution from Notifier by Honeywell. 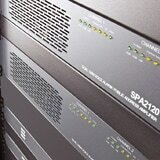 The advanced fire Voice Alarm system delivers a major step forward in audible and intelligible message quality. We are pleased to announce the launch of the Notifier InfoPoint mobile app. 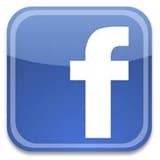 The app for iPad and iPhone gives you easy access to a variety of marketing and technical literature any time, anywhere. Pearl lies at the heart of a system designed to combat false alarms once and for all, even in conventionally difficult to protect environments. 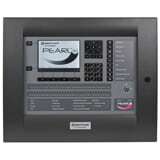 The Pearl’s advanced programming features are designed to engineer out false alarms by utilizing intelligent detection and programming options. FAAST is one of the lead sponsors of the next DATACENTRE.ME networking session at The Pacific Oriental Restaurant, Threadneedle Street in London, from 5-9pm on Thursday 30th January. The theme of the session is "DCIM / Software as a Service." There are nearly 700 nuisance fire alarms every day in the UK, causing much inconveience and breeding complacency - but they can be avoided as Derek portsmouth of Notifier by Honeywell explains. We are pleased to annouce that the ultra-sensitive FAAST Fire Alarm Aspiration Sensing Technology detector now comes equipped with direct Modbus connectivity. The PearlTM intelligent addressable fire panel is the first in a new family of advanced control panels from Notifier by Honeywell. Maximising the advanced features of the Opal range of detectors, the new panel has been specifically created to be immune from the threat of false alarms. The new Response Plus Paging System has been designed to meet the specific needs of different users, allowing them to respond more quickly to activated alarms. 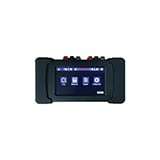 Containing the latest innovations in wireless paging and monitoring, it comprises a wall-mounted transmitter and antennae capable of sending customised messages to designated pagers, enabling coverage across a wide area. The Sainsbury Laboratory Cambridge University (SLCU) has selected an ID3000 fire safety solution from Notifier by Honeywell to provide protection at the new plant biology research facility. The Laboratory, an 11,000 sq.m plant research centre set in the University’s Botanic Garden, comprises laboratories, support areas, meeting spaces and a seminar room. A Sporting Chance of Survival! Multi-Criteria Fire Protection – the Way Forward? Notifier Product Manager, Rick Love, considers the issue of fire alarm and detection systems protocol in this month's issue of Refurb Projects. 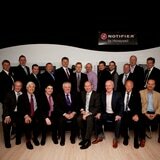 Especially for the 21st year of Notifier, you can now join us on Facebook and keep up to date with the latest in events and company news. Major new initiative reinforces importance of certifying channel partner technical expertise and service quality. Case Study focuses on the replacement of the existing system plus the new extension to bring the whole site, new and old under one system. 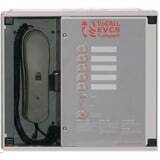 Full details now available on Emergency Voice Communications System (EVCS) Compact product for smaller installations. The Notifier fire alarm system at Sandy Park Rugby Ground in Exeter which was installed by Trinity Protection Systems is featured! Notifier by Honeywell are pleased to announce the release of a selection of helpful guides for specific fire detection challenges, including manufacturing, offices, heritage and more! Looking at cost effectiveness, flexiblilty and networkable systems. The brochures can be downloaded from the About Us section here. We are very pleased to announce that completing the Notifier Sales Team is Richard Hill, who will be the main point of contact for customers in the South West and Wales. A new area detailing the capabilities of our VAPA systems is now available. 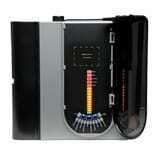 i-ZONE is a new resource developed by Notifier for building professionals. A host of useful information, tools and learning materials are available from this area. If you are working on an existing Notifier installation you can now find legacy product datasheets in the 'Products' area. Discussing the role of Voice Alarm and Public Address Systems in Fire Safety. The online industry publication has published a full guide to the new detectors, highlighting the features and benefits of the products. 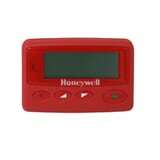 Notifier by Honeywell in the UK has launched their new website. 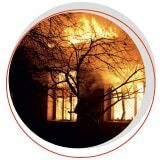 Fire Risk Management Journal publishes Saltram Solution, an article by Notifier's Rick Love discussing the role of fire safety in heritage buildings. The article also features a case study on the installation at Saltram House by Trinity Protection Systems. The Notifier Roadshow went ahead successfully with a great reception from all involved. The latest in a series of presentations, entitled "A Guideline for Designers on the Use of VA–PA Systems", recently received CPD accreditation. CPD accredited presentations can be arranged at our site in Burgess Hill, West Sussex, or alternatively we can come to you. 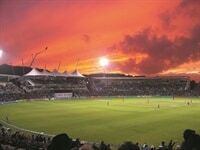 Powerpoint Fire Systems Ltd and Notifier by Honeywell extend fire safety solution to meet needs of Centre Court retractable roof and new No. 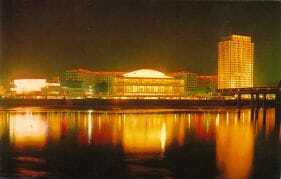 2 Court. Notifier by Honeywell UK ESDs prepare to attend our annual conference in the Midlands. Facilities Management Excellent publiushes article by Rick Love, senior product manager, Notifier by Honeywell. Facilities Management Journal publishes article by John Simpson, Notifer by Honeywell sales leader.